Spring has finally sprung, and not a moment too soon for homeowners in many parts of the U.S. who dealt with winter-like chill well into April. This season is often associated with feelings of renewal, as reflected in the tradition of spring cleaning. Homeowners should use the opportunity afforded by warmer weather to do more than just organize the closet. The most essential spring maintenance tasks will get your house in shape for summer, both inside and outside. Rake and collect any leaves or branches that have fallen. 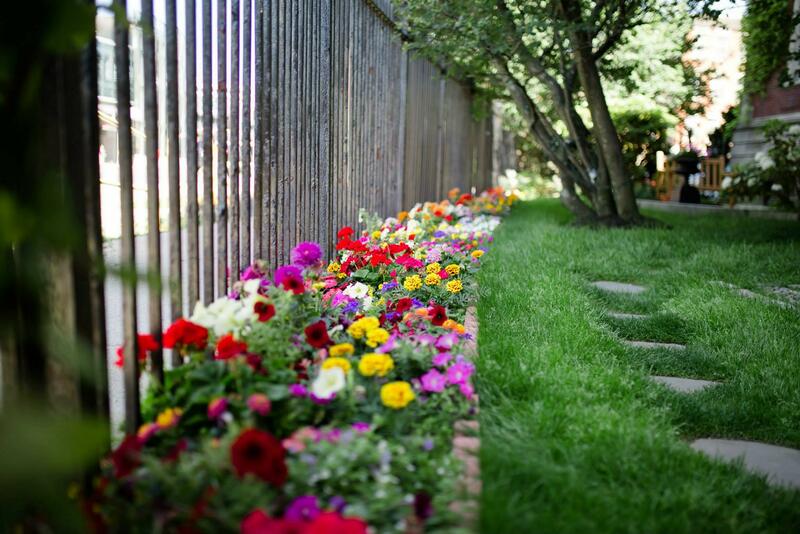 Clear space around flowerbeds and underneath hedges for fresh soil or mulch, if needed. If you have trees on your property, inspect them for any signs of illness. Dead branches or a lack of blooming are obvious signs that something is wrong, but only a trained arborist can accurately diagnose most tree issues. While easily overlooked, an unhealthy tree could pose a serious risk of damage to surrounding property. Check the lawn for any bald patches and re-seed as necessary. Later in the spring, once most flowers have bloomed and grass is bright green, it may be time to fertilize. A long winter often feels draining. Your home and the many appliances within it could relate to that feeling, with roof shingles worn from snow and wind, and gardening tools collecting dust in the garage. Of course, these things don’t have a mind of their own, but they do still need an extra dose of care before being thrown into service for another spring and summer. Take time to inspect the entire exterior of your house. Play close attention to any cracks or gaps that have developed in the foundation or facade of the structure, as well as on the driveway or adjacent walkways. Climb a ladder to inspect the roof and gutters, but only if you are in good physical condition and have the necessary tools to do so safely. Check for any wear and tear on shingles and siding, often the result of rapid freezing and thawing throughout winter. You can also use a leaf blower to remove leaves and debris from gutters to ensure they continue to stand up to summer storms. If you don’t feel comfortable doing any of this, don’t hesitate to contact a professional. It’s probably been months since the last time you fired up your gas-powered lawn mower, and it will need a tune up before the first trim of the season. Refer to your mower’s owner’s manual for instructions on what maintenance to perform and when. Much of it is fairly simple if you’re familiar with basic car maintenance, and includes changing the oil, air filter and spark plug from time to time. More advanced mower maintenance, like blade sharpening or draining fuel, is best suited for experienced owners or a professional shop. These and other spring maintenance tasks should keep you occupied long enough to enjoy the warmth of summer once it arrives, knowing your home and property are in top shape. Previous What’s the difference between a buyer’s and a seller’s market?